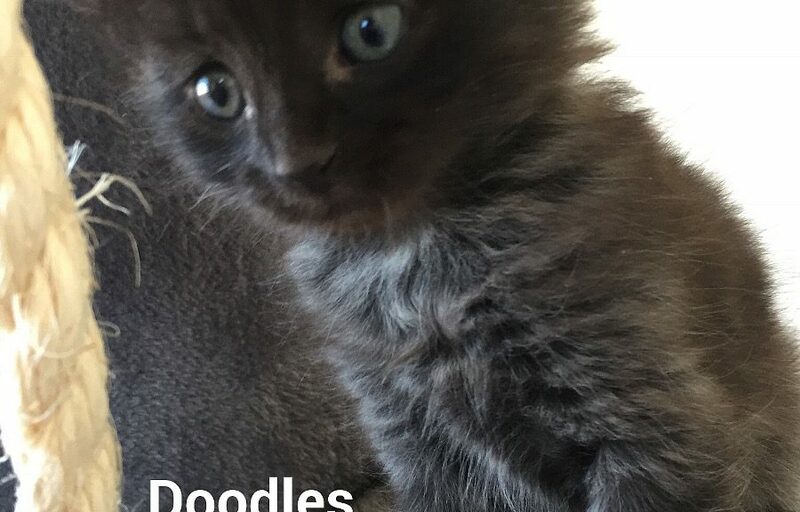 Doodles is one of Angel and Mya’s kittens. Angel and Mya are a mother and daughter who were surrendered by their owner when delivered 11 kittens between them. Kittens will be ready for adoption towards the end of May.